Martin Yale Premier CL6 Collator - Roberts Business Machines, Inc. The Martin Yale Premier CL6 Collator is an ideal machine for any desktop environment. Unit features include light weight design, no set up, and ability to put up to 100 sheets in each feed bin. 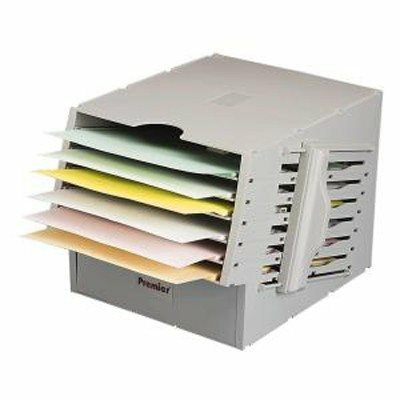 This machine is intended for single sheets only, not recommended for multi-part documents or stapled sets.